A crescent shaped region of Italy nestled against the sparkling Mediterranean Sea, Liguria is a treasure trove of geographical wonders and cultural significance. Its vast array of stunning mountains, jagged sea cliffs, rolling hills, and lush vegetation combine beautifully with the allure of the local culture, allowing for a wide variety of things to see and do. From hiking and biking rugged mountain trails from high cliffs down to beaches at the water’s edge, to swimming the sapphire blue waters and exploring hidden grottos of the Mediterranean, a visit to Liguria promises a multitude of once in a lifetime outdoor experiences. In addition, the region’s charm – characterized by its many quaint fishing villages – and elegance – most notable in the extravagantly beautiful Italian Riviera – allow for indulging in the romantic views, delectable cuisine, and stunning sites that have inspired artists, poets, and writers for centuries. Each new day in Liguria brings new experiences waiting to be enjoyed. When planning to visit Liguria, keep in mind the many fun and exciting cultural events and festivities that are happening locally. Immersing into these unique activities is a wonderful way to experience local life and culture. Every June in Ventimiglia is a spectacular weekend event called Battaglia dei fiori, or Battle of the Flowers. The event features a huge parade filled with extravagant floats made of gorgeous flowers. 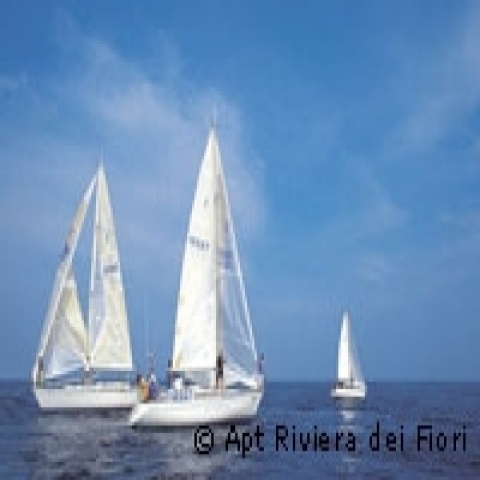 In Genoa, experience the Regatta of the Ancient Maritime Republics, a regatta that features parades and events to celebrate the cities of Amalfi, Genoa, Pisa and Venice – the largest nautical powers of ancient Italy. In Sanremo, the most important music festival in Italy is held – the Festival di Sanremo. The event celebrates Italian songwriting and features important guests from all over the world. Since its inception in 1951, it has been a must-watch event for Italians every year. 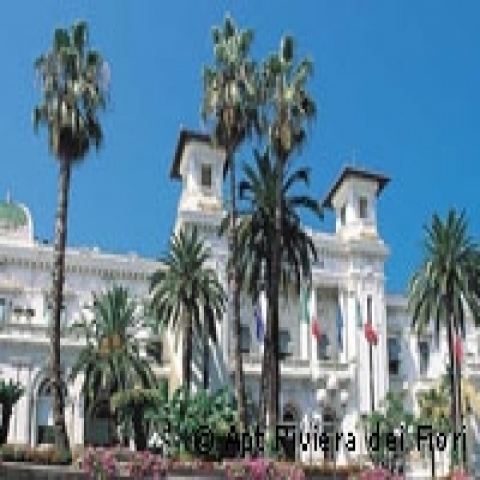 A one of a kind event in the province of Genoa is Torta dei Fieschi. The feast is held every 14th of August and it is a recreation of a should-have-been wedding between the important count Opizzo Fiesco and noblewoman Bianca dei Bianchi. The two never actually were wed, but every year the town celebrates with a reenactment of how the wedding should have been. 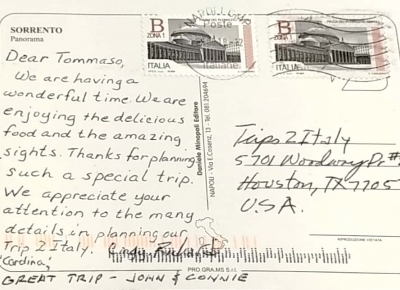 It features a parade where two locals are randomly selected to serve as the “Opizzo” and “Bianca” as well as a massive wedding cake. The crown jewel of Liguria is its landscape and geographical features. Between the deep blue waters of the neighboring sea to the panoramic views offered by the cliffs atop the region’s lush mountains, those who enjoy the outdoors will find no shortage of activities to enjoy. Scuba divers and snorkelers will delight in Liguria’s pristine waters, which lay practically untouched thanks to the surrounding jagged rocks. 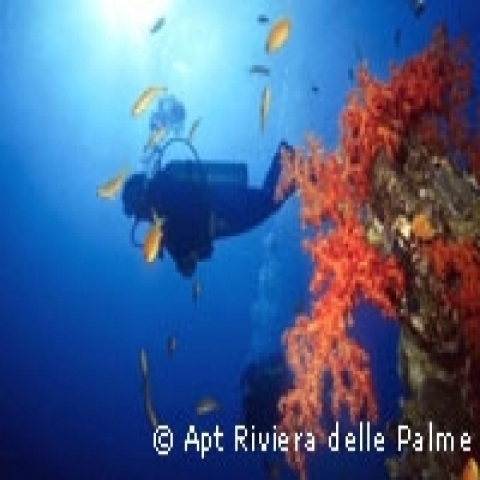 Locations such as Balzi Rossi, the Saracen Bay, the San Fruttuoso Bay, and Finale Ligure offer some of the world’s best diving. Indulge in view of sea life, bright coral reefs, and magical grottos tucked within massive rock formations. 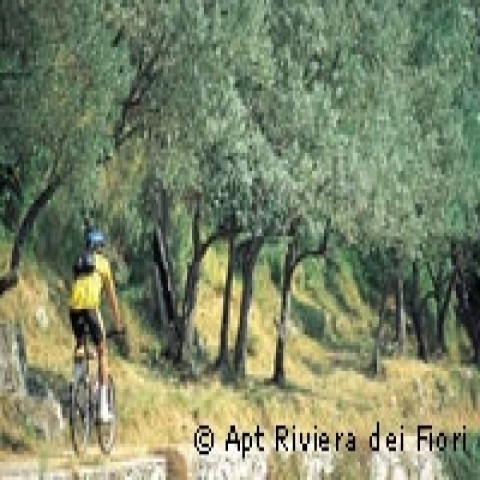 In Savona, outdoor enthusiasts will love Grotte di Toirano, or the Toirano Caves. Visitors can tour the vast cave system and enjoy the wonder of Italy’s natural grottos. With so much outdoor beauty to take in, visitors to Liguria can enjoy everything from swimming in the Mediterranean, to fishing like the locals, to hiking and biking the mountainous trails. Best of all, no matter what part of Liguria one chooses to explore, there is always a one of a kind view awaiting amidst the region’s beautiful sea cliffs. As a popular vacation destination for celebrities and royalty over the last century, it is no wonder that the opportunities for shopping are abundant in Liguria. Whether looking to shop where the rich and famous get their fashions and jewelry or more interested in local handicrafts and farmer’s markets, there is something for everyone. Portofino, a hot spot for VIPs and celebrities, is one of the best destinations in Italy for couture, jewelry, and other luxury items. No matter if one is looking to grab a designer piece or simply window shop, the Portofino boutiques and luxurious shops will make everyone feel like a star. For shoppers looking for designer brands at lower prices, the Cinque Terre outlet offers a variety of brand name stores in a convenient shopping plaza. To experience the works of local craftsmen, visit any of the many weekly outdoor markets held throughout the region. Cities such as Deiva Marina, Chiavari, and Genoa all offer unique markets once a week, featuring fresh produce, arts, crafts, and other products made by locals. To indulge in ancient traditions of Liguria, visit Albisola and browse the artisanal pottery. An ancient art that began in Medieval Italy due to the abundance of clay in the Ligurian basin, pottery became a marker of the region and was distributed all throughout the Mediterranean. Today, the pieces available are still made with ancient techniques and reflect the area’s long history. While it is known worldwide for its stunning outdoor views, there is plenty to do in Liguria that doesn’t involve being one with the outdoors. As with any destination throughout Italy, Liguria is home to many museums, all of which hold keys to the region’s history and artistic culture. Genoa, Liguria’s best-known city, is home to most of the larger and more well-known museums. The Palazzo Reale Museum, also known as the Royal Palace Museum, is one of the most opulent and historic museums of the city. It is home to authentic artifacts of the Balbi, Durazzo and Savoia families who once called the Palace home. 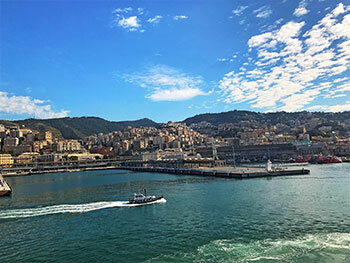 Genoa is also home to Italy’s largest aquarium, which occupies over 30,000 square feet and takes about three hours to explore. Genoa also boasts the Oriental Art Museum and Galata Museo del Mare. Other great museums in Liguria to experience are the Museo della Ceramica in Savona and the Museo del Clown in Imperia. While strolling around Liguria, there are many great places to go sightseeing and experience the rich cultural tapestry of the region firsthand. In Genoa, take a break and people watch in the city’s main square – Piazza Raffaele De Ferrari – before heading to see famous churches such as the Cathedral of Saint Lawrence or the Basilica di Santa Maria del Castello. 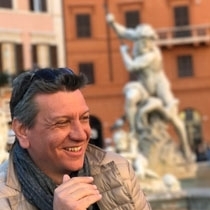 Or explore the UNESCO world heritage site, the Palazzo dei Rolli, a group of palaces that feature amazing Baroque and Renaissance style architecture. 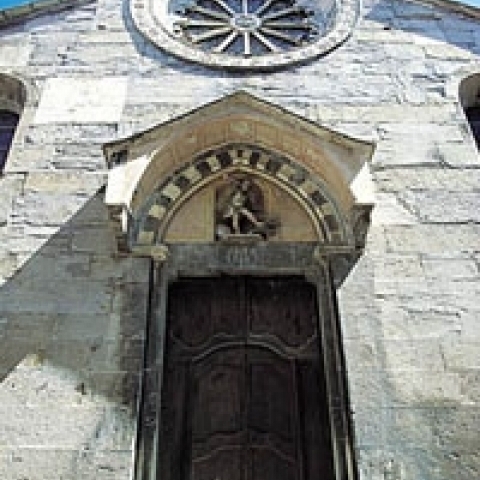 All throughout Liguria are gorgeous churches and cathedrals that highlight the religious history of Liguria. 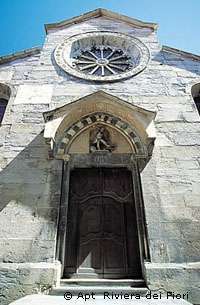 Locations like Cappella Sistina in Savona, The Church of St. Peter in Portovenere, and the San Fruttuoso abbey all display Ligurian artistry in architecture and a depiction of the Ligurian people’s deep-rooted faith. With everything from charming sea villages and photo-worthy views to local activities such as festivals and sightseeing, Liguria offers something for the entire family. In the province of Imperia, there is one of the most beautiful sites to visit – the Giardini di Hanbury. Also known as Villa Hanbury, this arboretum is a part of the University of Genoa and offers guests the chance to see countless species of vegetation from nearly every climatic region. The botanical gardens are a great way to spend time as a family amidst the beauty of nature in Liguria. Another way to enjoy nature in Liguria is to spend a day at Baia del Silenzio, or the Bay of Silence. Located in Sestri Levante, the Bay of Silence offers views of crystal waters, white sand, and the colorful seaside cottages that are so characteristic of the Ligurian region. A local poet named the bay because it was so quiet and pure. Families can grab a gelato or slice of focaccia and sit together for a relaxing view of the bay and its surroundings. 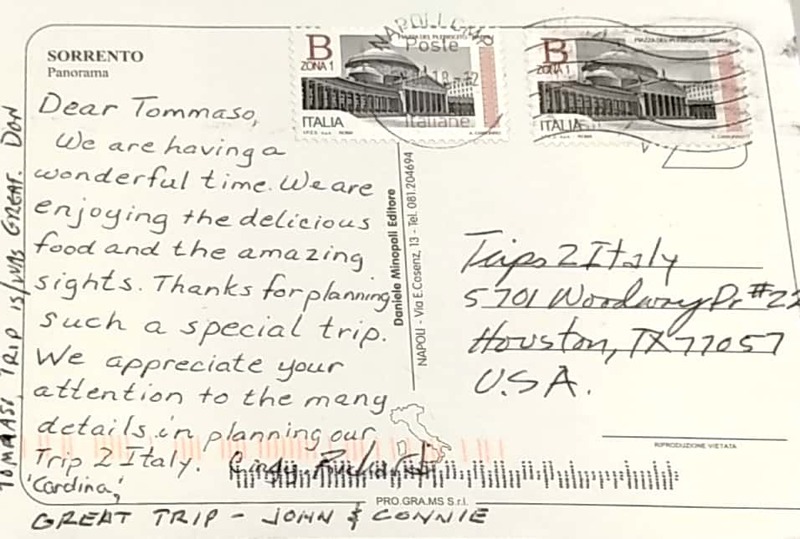 Whether traveling with a large group or privately, there are many unique and interesting places to visit. In La Spezia is a one of kind little town called Borgo di Varese Ligure. This commune is well known for its peculiar shape. All the architecture in the town – from houses, to businesses, to workshops – are arranged in a way where the entire town forms a big circle. Another quaint and special town to visit is Dolceacqua e il Castello. Sitting at the base of Mt. Rebuffato, this medieval town has a famous castle – the Doria – that overlooks the entire village. In Nervi, not far from Genoa, is Monumental Cemetery of Staglieno – the most important monumental cemetery in Italy. It covers an area of one square kilometer and features works of art and intricately detailed statues for nearly every tomb. Each region of Italy has its own special locales that make them unique. In Liguria, visitors will get to experience a variety of one of a kind places that truly capture the beauty and wonder of Liguria. One of the biggest draws to Liguria is Cinque Terre – a stunning location comprised of five fishing villages (hence the name) that enchants and inspires all who visit. Recognized as an UNESCO World Heritage Site, it is the ideal place for those who want to bask in the glory of amazing seaside views. With its cliff-filled landscape and hidden trails, it is a hot spot for nature lovers, photographers, hikers, and anyone wanting to admire the beauty of the Mediterranean. Also recognized by UNESCO is Archipelago Spezzino, an archipelago formed by the three islands of Palmaria, Tino, and Tinetto. Each island is known for rich, natural scenery. A nation within a nation, Principato di Seborga is a unique destination as it is a principality and not actually a part of Italy. It declared independence from Italy in 1963 and features its own currency and even a prince that is elected by the people. Special mention goes to the small medieval town of Sassello. Located on the border of Liguria near Piedmont, the town features incredible medieval architecture, wonderful views and plenty of art to enjoy. Eat as much fresh seafood and pesto as you can!